In a large bowl combine flour, yeast, sugar and salt. 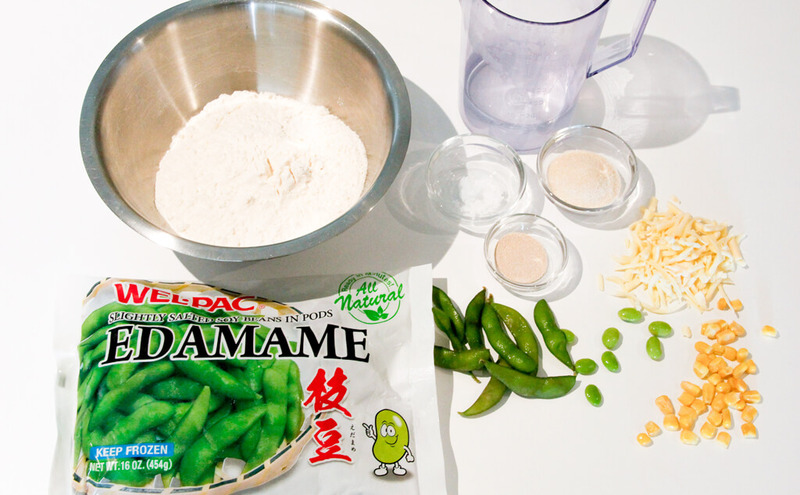 Add warm mater, JFC edamame, corn and cheese, and stir until combined. The dough should be sticky. Cover the bowl with plastic wrap. 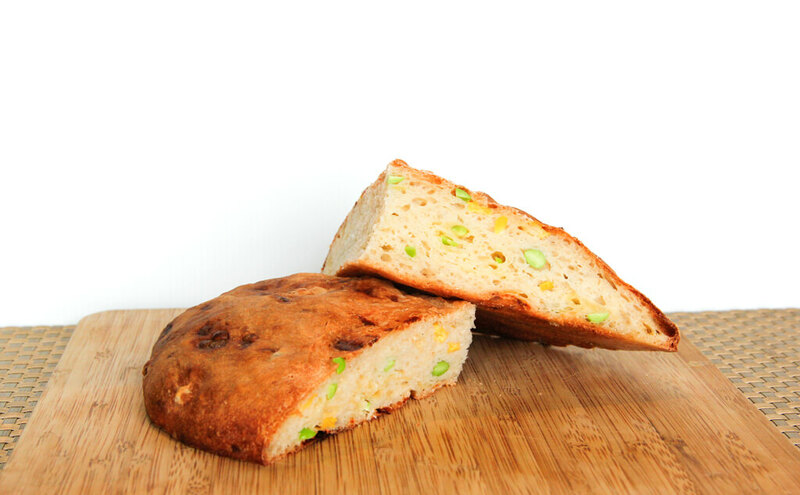 Let the dough rest for a minimum of 3 hours at room temperature, about 21℃. For best results, rest for at least 15 hours, preferably 18 hours in a refrigerator. The dough is ready when its surface is dotted with bubbles. Lightly dust the tray with flour and place the dough on it. Sprinkle it with a little more flour and fold it over on itself once or twice. Quickly shape the dough into a ball. Cover with a wet cloth and loosely with plastic wrap and let it rest for about 30 minutes. At least a half-hour before the dough is ready, preheat your oven to 200℃. When the dough is ready, it will be more than double in size and will not readily spring back when poked with a finger. Bake for 40mins then place on a wire rack to cool.